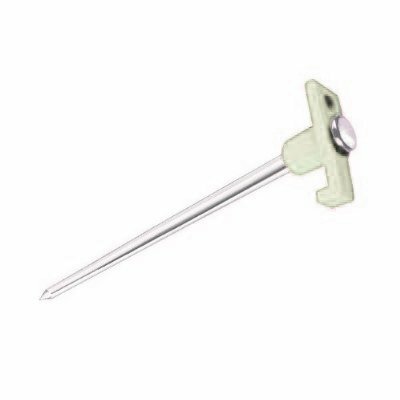 Competitive Edge Products is delighted to present the fantastic Steel Tent Stake 10 pack 10.5" Steel Peg with Glow in the Dark Tops (Various Colors). Material made of galvanized steel. The dimensions as as follows: length: 10.5", Diameter: 8mm". The rugged plastic t-tops have a tapered point to more easily penetrate the ground to secure your tent. 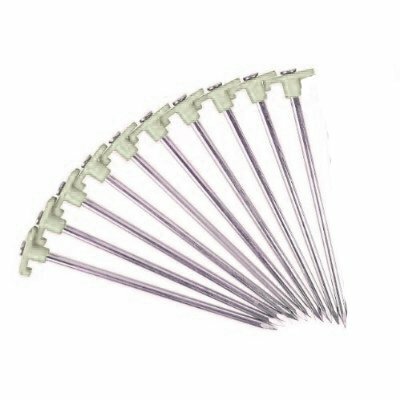 These 10.5" tent stakes are perfect for either replacement parts or as an upgrade to the plastic stakes that come with your tent. With galvanized steel for corrosion resistance and a diameter of 8mm to insures that the stakes do not bend. The colorful T top allows for easy visibility of the outer area of your tent which can often be tripped over at night when the glow of the fire does not reveal your tent lines.